At around 3 pm on Friday, a hammerhead shark was seen along the bridge to Ordnance Island. A quick-thinking jetski instructor from KS Watersports filmed the shark swimming just below the surface of the water. 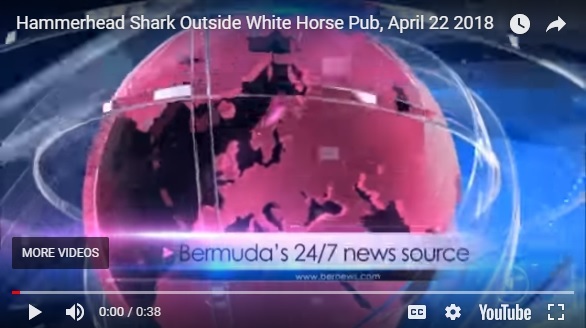 He shared that with Chris Morley, a manager at the White Horse, who posted two videos of the hammerhead on the pub’s Facebook page. The video has been viewed more than 20,000 times with almost 400 shares. A hammerhead shark was also spotted near Flatt’s a few days ago. That is very scary. Doesn’t seem like a very safe place to swim, really. I thought it was always pretty safe.